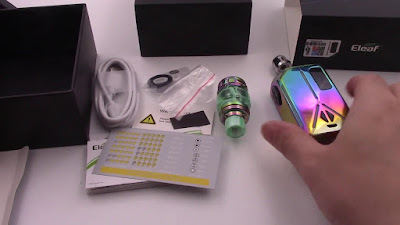 Eleaf brought us a lot of new products in recent times, so Lexicon with ELLO Duro is one of them. The latest new products from IJUST 3 to today's Lexicon with ELLO Duro, they give me an impression is, cool. 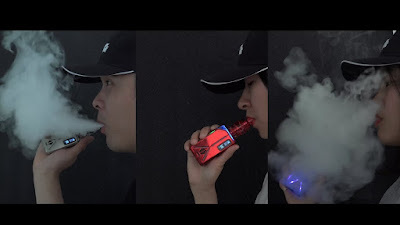 Eleaf has changed the design concept from the appearance of the product. This time it is more in line with the aesthetic style of the individual. With multiple colors of LED lights, metal casing, high-quality display, hexagonal fire button, every detail of Lexicon is different from its previous product. High-quality LED lighting allows us to have a better visual experience, especially friends who like to go to the nightclub, with it you are the focus of everyone. Two 18650 batteries and 510 threads add more playability to Lexicon. It has a large output of 235W, which will bring more fun to vaper like RDA Vaping. Press three times in succession to enter the output mode setting. ELLO Duro uses two mesh coils. Both of these are low resistance coils, so it will not disappoint everyone in the realization of vapor. The taste on this product is what I want to recommend to everyone. Mesh coil has six air inlets, and ELLO Duro Tank has a bottom air flow control system. On the taste, we can freely control the vaping effect we want. Maybe we can find a lot of Vape KITs with the same capabilities in the market, but I believe that no one can be as unique as Lexicon with ELLO Duro. 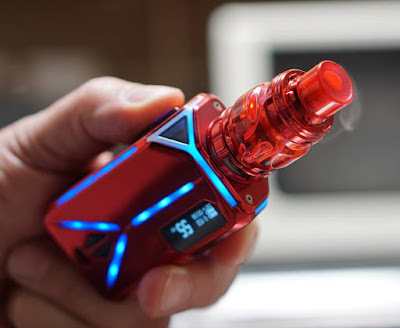 Its unique trend elements will definitely give everyone a new understanding of Eleaf.